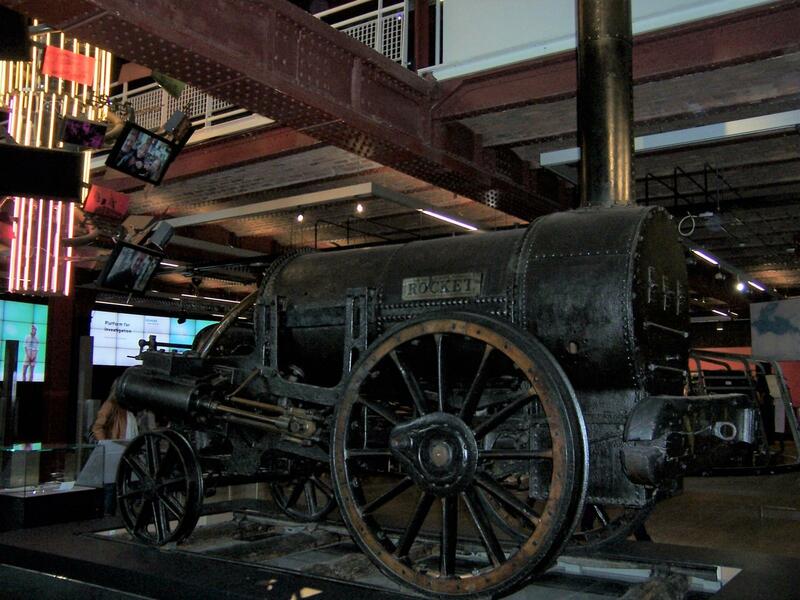 I thought some of you may be interested in this, the Museum of science and industry (MOSI) in Manchester has on display “Rocket”, for those who aren’t familiar with it Rocket was the worlds first commercial steam engine ,designed and built by George Stephenson. 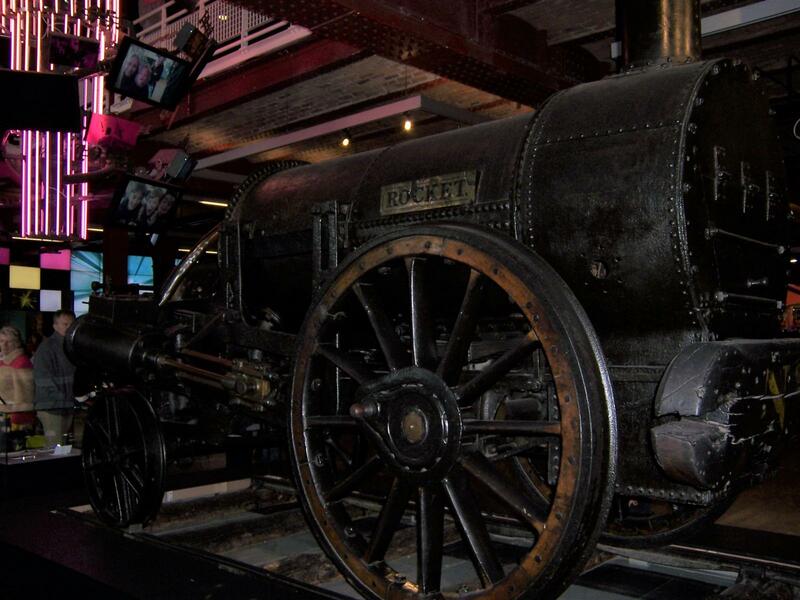 It was used to pull the worlds first fee paying passengers and cargo between Manchester, the birth place of the industrial revolution and Liverpool. 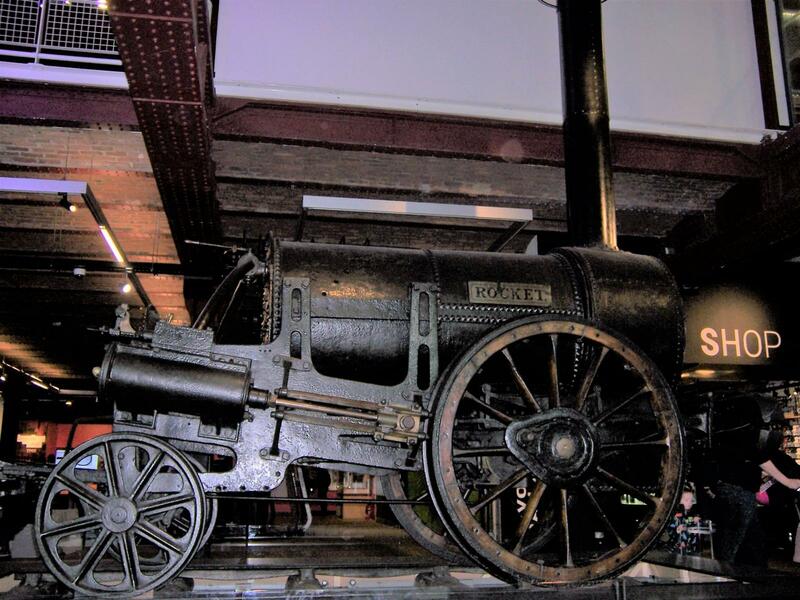 This is not a replica this is the actual one ,apparently it was gifted to the British Museum long ago but is being rehoused at the Railway museum in York after a period on display in Manchester. 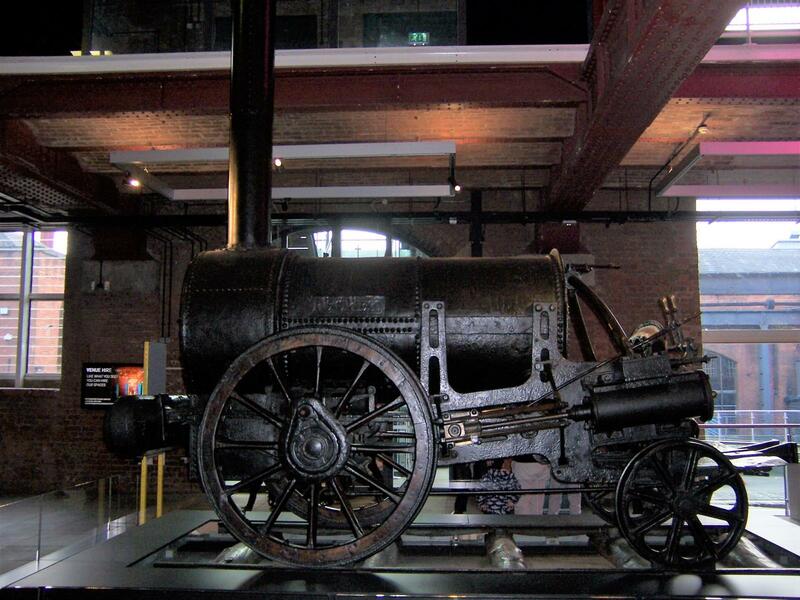 I was told by a curator that they built another 8 to the same design before developing the concept and starting the evolution of locomotive engines into what we see today all over the world but only this the first was preserved. Very interesting, I didn’t know it was preserved. Looks interesting “live” and, I must say, pretty compact. BTW are there any plastic kits of it available? Occre do a beautiful 1/24 model with a tender. It’s a wood and metal kit. I had it bookmarked as a possible project last year but never got round to it. Dimensions : length: 290mm, height: 180mm, width: 65mm. A cursory look finds one on sale for £70 just 15 miles from me! Well like I said Airfix offered one so I guess you could find one on Ebay . Nice photos. 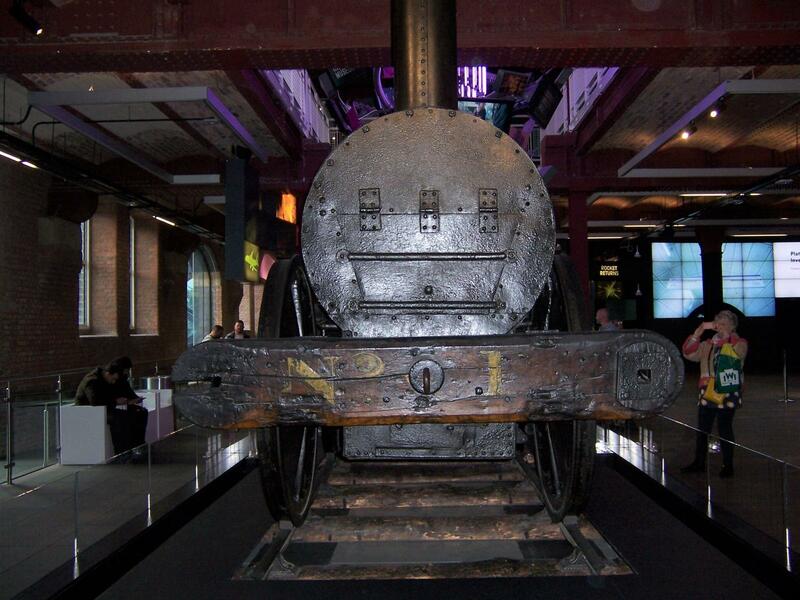 Looks like a proto-steam punk machine. Way too crude and no shining brass thingies. 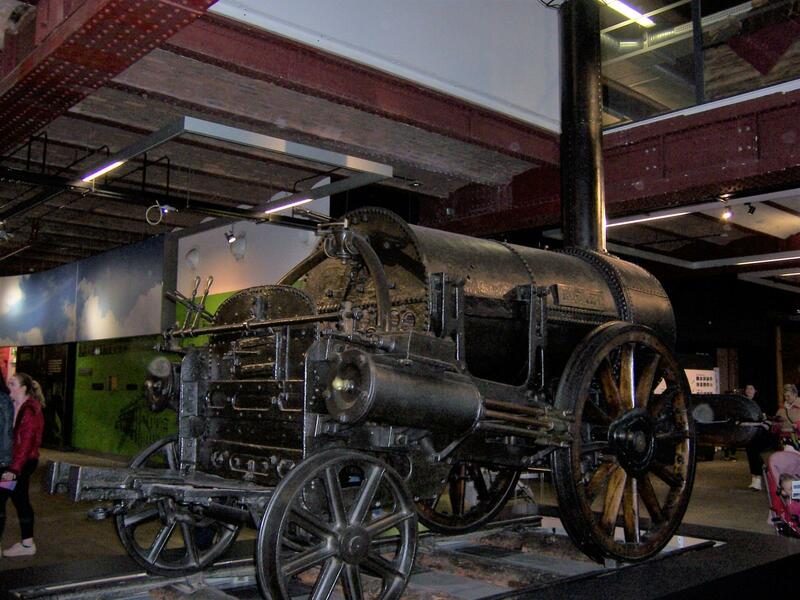 “Built as a prototype to win a speed trial, the engine was soon superseded by improved designs, such as Stephenson’s Northumbrian and Planet designs, both of 1830. So no wonder Airfix´ bright model looks way different from today´s preserved original, not only the colours are “wrong” but also the entire lay out differs greatly. The original soon celebrates its bicentennial anniversary, how about Airfix gives us a large scale model of the Rocket? Just my sort of thing, Neil. I spend ages crawling around these old displays. There was a tank museum on the Isle of Wight (might be defunct now), and you could get up close and personal with a lot of the exhibits. 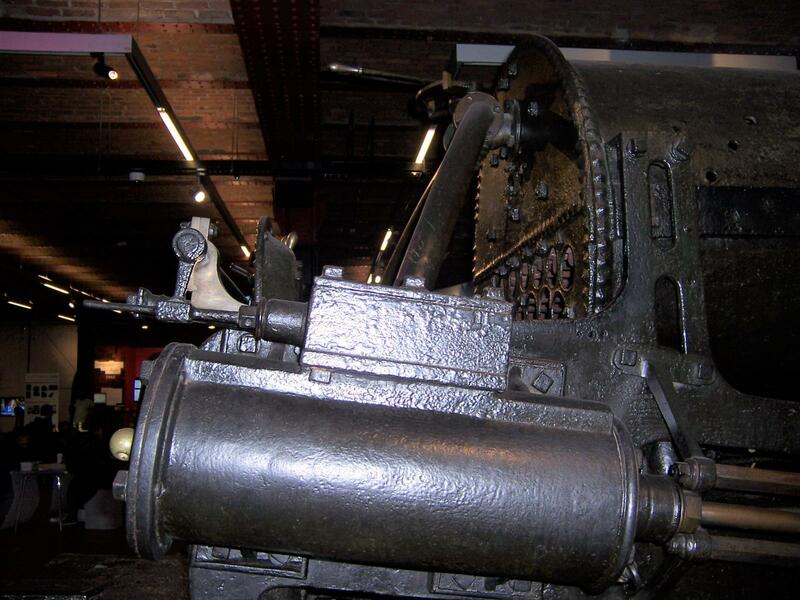 Glad you enjoyed the set Rob, the MOSI is a terrific museum and I rarely venture into Manchester without going in. That 1/24 kit sounds just up your street ,I’ll stick to the dinky little Airfix version !